Dr. W. Kelley Thomas grew up in southern California. He completed his B.S. degree at the University of Redlands (Redlands, CA), and a M.S. and Ph.D. at Simon Fraser University (Burnaby, B.C.). Dr. Thomas continued his studies as a post-doctoral researcher in the lab of Dr. Allan Wilson at the University of California (Berkeley, CA). He started his own lab and research program in molecular evolution as a faculty member at the University of Missouri (Kansas City, MO), where he also ran a DNA sequencing service facility. 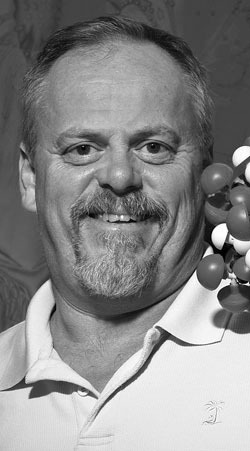 In 2002, Dr. Thomas and his research group moved to the University of New Hampshire (Durham, NH), where he became a Director of the Hubbard Center for Genome Studies. The research of his group still includes molecular evolution, but has expanded to include meiofaunal biodiversity studies and how these organisms interact with their environment.